What happens when Kendrick Lamar is challenged to freestyle from flashcards? You get a freestyle that is entertaining, hilarious, thought-provoking, sort of political and really, really impressive. 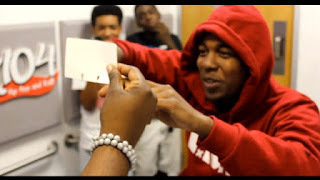 Watch the incredible freestyle, which went down at Dallas radio station K104, below.